How are those family New Year resolutions going? Are your kids’ backpacks still being organized before bed each night? Is your family still committed to dinners together without screens? 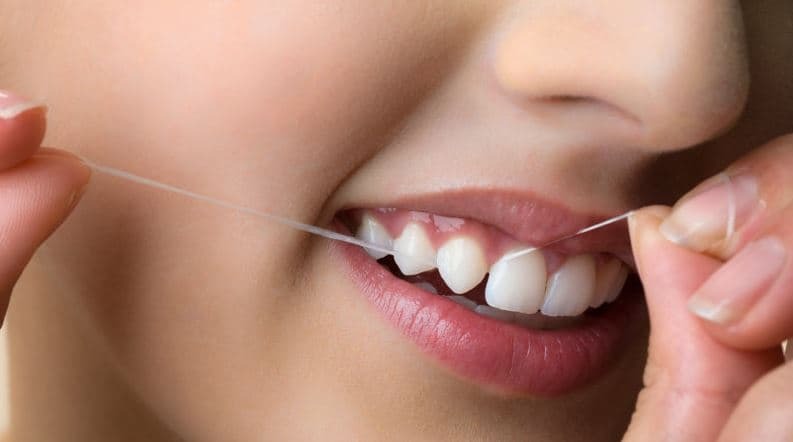 Have you flossed every day in 2018? Resolutions are hard. I asked someone on New Year’s Day if she had made any resolutions with her kids. She answered that they had all made the commitment to seek solutions to problems before resorting to name calling and sibling bickering. I asked how it was going, this was about 2pm on Jan 1st. Her reply, through clenched teeth, was: “We almost made it to lunch.” If you are still discussing New Year resolutions with your family, check out our blog post from last year with a resolutions worksheet. Many resolutions for kids revolve around better habits, sticking to a routine, and treating others with more kindness. The best Bay Area Summer Camps offer excellent opportunities for kids to learn and practice these skills. Children definitely form excellent habits at the best Bay Area Summer Camps. Nearly all camps are built around routine and structure. At Kennolyn Camps, our days start with the sound of a bell. Meals are served at set times, and bed time routines revolve around a series of bugle calls. These routines encourage campers to follow a timeline which is the basis of good habit forming. It can be hard at home with busy schedules to follow such rigid routines. But, if your goal is to improve your child’s nighttime routine you can adapt the structure of the best Bay Area Summer Camps to meet your goals. Although you may not be able to set a bedtime that is the same time every night the way we do at Kennolyn Camps, you can use a timer to set a certain amount of time allowed to get things done. 30 minutes before you want your children settled and quiet in bed, set a 15 minute timer. Make sure you announce to your children that the time is set and as soon as the timer sounds they will need to be on the way to the bathroom to brush their teeth (or whatever action step you want them to do.) Just make sure it’s the same action each night. It may take a few nights but by the end of a week of doing this each night, you children will come to anticipate and expect the bell after 15 minutes. Almost without knowing they will start to move quietly to teeth brushing as the bell rings. As the kids are brushing, set the next timer for 15 more minutes. Make clear what steps are needed before the next bell. It may be lay out your clothes for tomorrow, say goodnight to the family, turn off all screens in the bedroom, whatever your goals are. Remember, keep these actions consistent. It is the regularity that builds habits. I have to say that all 3 of my kids, who are definitely camp kids and grew up at Kennolyn Camps and other of the best Bay Area Summer Camps, definitely benefitted from all the weeks of structured wake up and bedtime routines at camp. All of them are easy going with transitions and routines because camp made those things seem like the norm. Another area where the best Bay Area Summer Camps can help is in how kids treat one another and themselves. The truth is, kids are probably more supervised at these excellent camps than elsewhere. A well trained counselor who is enthusiastic about the job they are doing, will spend more time in an average day with children than any teacher ever will. A counselor may not have the training that a teacher does or the experience of a parent but they have the time and willingness to be present. That presence of a caring adult is the very best way to ensure kids treat each other more kindly. A counselor will stifle conversations that threaten to isolate or intimidate someone. Conversations are curated and guided by counselors with whom the campers truly enjoy spending time. In this way children learn to speak more kindly but most of all, this attention to group dynamics allows the counselor to include everyone in the group. So the group are also listening to one another. In this way, more understanding and comprehension can develop which in turn leads to improved communication and tolerance. Sending your children to one of the best Bay Area Summer Camps isn’t guaranteed to make them kinder and gentler, but they certainly will see traits of improved understanding and caring behavior which will guide them in the right direction. At home, this can be recreated by adding some structured conversation time to the day. Mealtimes work extremely well and there are a range of products to help facilitate good conversations. We like Table Topics and use them for our older kid groups at camp. I just pulled one out of the box on my desk and the conversation prompt is: “what one special talent would you like to have?” Remember, the key to getting kids to learn from these conversations is that an adult guide and facilitate the tempo of the conversation You want kids to recognize when it’s their turn to speak, that they were listened to and now should be listening, and what it means to embrace another person’s ideas rather than laugh or use put downs. In this way, you can recreate the atmosphere that helps the best Bay Area Summer Camps to increase a child’s understanding and tolerance of others. You can also check out some of our earlier blog posts on eating habits or how to make chores a part of your household routine to take advantage of some of the awesome benefits that can come from habits kids develop at the best Bay Area Summer Camps.